For the past 22 years, Women Chefs & Restaurateurs has held a conference recognizing important women in the industry. This year, it’s being held in NYC from April 18 to 20, and the lineup looks amazing. This year, Food & Wine's #FOODWINEWOMEN campaign has put the spotlight on inspiring female chefs, artisans, bakers, butchers, wine experts and authors. But, of course, we weren’t the first to support amazing women in our industry. For the past 22 years, Women Chefs & Restaurateurs has held an annual conference recognizing important women in the industry while helping others make connections and learn from experts. This year, it’s being held in New York City from April 18 to 20, and the lineup looks amazing. 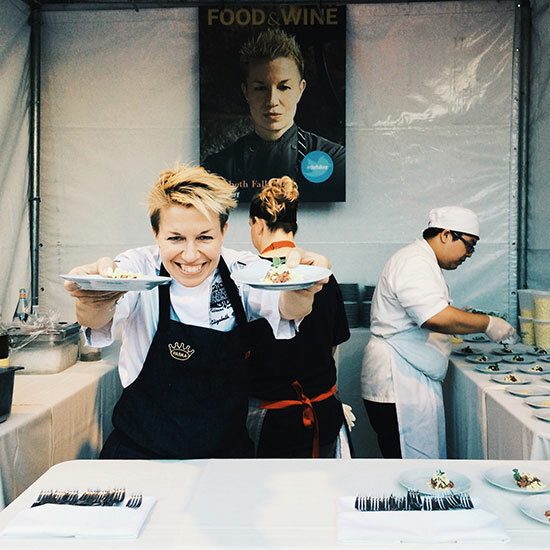 Open to WCR members and non-members alike (though members do get in at a discounted rate), the conference will be helmed by the new WCR president, chef Elizabeth Falkner, who has been involved with the nonprofit organization since its inception. “I remember being a 20-something cook at the conference and finding it so empowering to be in a room full of female chefs,” she says. Falkner is packing the weekend with parties, TED Talk-inspired core talent presentations from influential experts, demos like chef Missy Robbins on prosciutto di Parma, book signings, brilliant female mixologists talking about life behind the bar, a keynote speech from Lidia Bastianich and the WCR Food Games—think Iron Chef but friendlier. Another great event in the lineup: the New York Boroughs Breakfast, featuring chefs from all five boroughs. Weekend-long passes will be available, but there will also be à la carte tickets for specific events and party passes for cooks who can’t get away from work until late. Registration is open now. Find out more about the conference here.